The main effect is an increase in the level of human endurance. 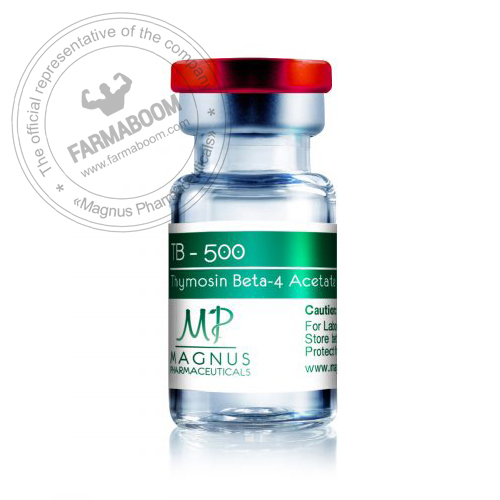 Peptide TB-500 does not contribute to a marked increase in physical indicators or an increase in muscle tissue. Acceleration of regenerative processes in muscle tissue and fast healing. The growth of new vessels. This allows the TB-500 to improve the circulatory system. Muscles are better supplied with oxygen, which allows you to increase endurance. Improved tensile ligament. As a result – reviews say about reducing the risk of muscle damage during exercise. To use the drug, it is necessary to make subcutaneous or intramuscular injections. The recommended dosage of TB-500 is about 2-6 mg per week. It is required to divide it into two injections with an equal interval between them. The duration of admission is about 1 month. The dosage presented is suitable for the active phase. To keep fit, 2-4 mg of TB-500 per month is enough. For those who are seriously engaged in bodybuilding or actively training in other sports areas, we can recommend a slightly modified course. The loading dose is 10 mg per week – 2 mg each day. In the future, over 5 weeks, with equal intervals, it is necessary to do 10 injections. Their dosage is 2-3 mg. After this period, the TB-500 is applied once every 6 days.